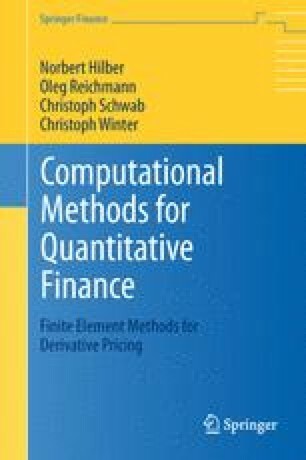 A key task in financial engineering is the fast and accurate calculation of sensitivities of market models with respect to model parameters. This becomes necessary, for example, in model calibration, risk analysis and in the pricing and hedging of certain derivative contracts. Classical examples are variations of option prices with respect to the spot price or with respect to time-to-maturity, the so-called “Greeks” of the model. For classical, diffusion type models and plain vanilla type contracts, the Greeks can be obtained analytically. With the trends to more general market models of jump–diffusion type and to more complicated contracts, closed form solutions are generally not available for pricing and calibration. Thus, prices and model sensitivities have to be approximated numerically.